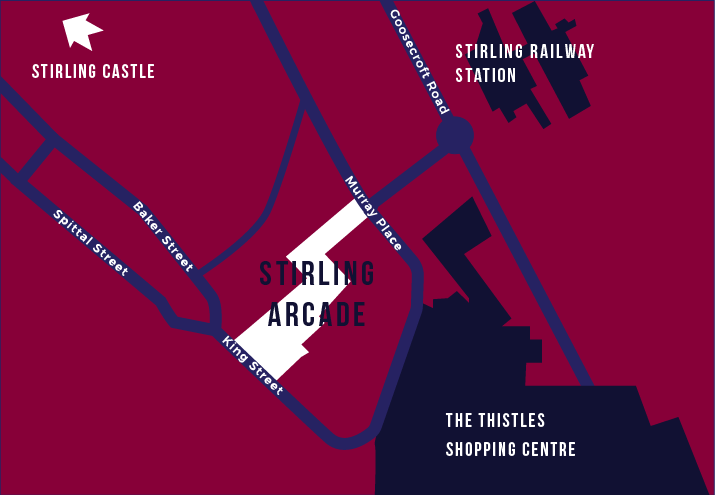 The Stirling Arcade is located in the heart of Stirling and stretches between King Street and Murray Place. A short walk away from the Stirling Railway and Bus Station it is perfectly positioned for a stroll through town. It is also situated on the shortest route from the castle. Parking is readily available throughout the city centre of Stirling. With several large car parks close by as well as pay and display car parking.